AlterEgoz call themselves a “purely classic rock band”. 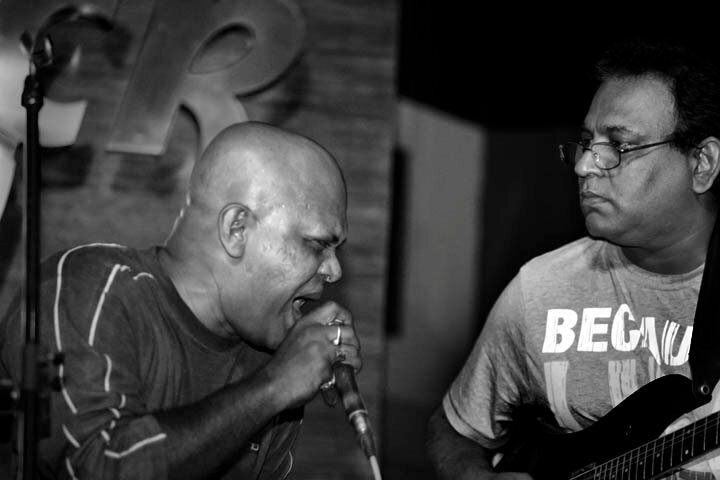 They started off in 2001 in Hyderabad – citing an all-encompassing list of influences ranging from the Beatles, through to the Police via Rush – and in their decade long career, they’ve played hither and thither around the country; at times sharing the stage with biggies like Parikrama and Mrigya. 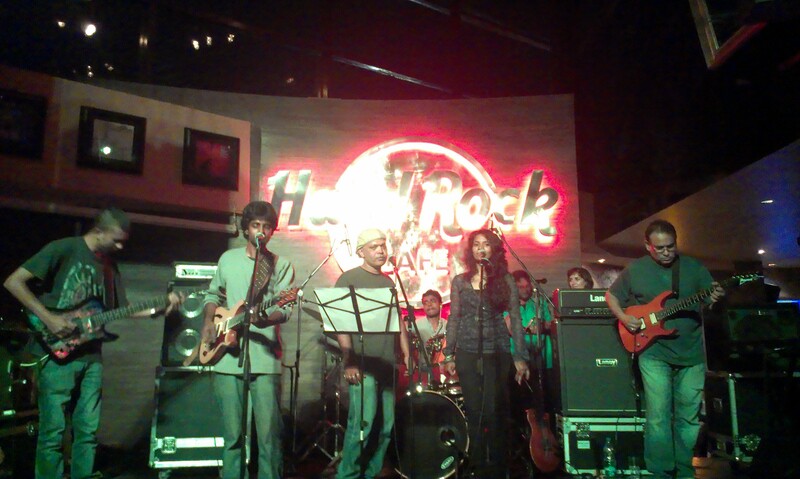 Not surprisingly, they’ve done quite a few gigs at the Hard Rock Cafe in Hyderabad, and August 29th was probably just another one in their list. For the writer however, it was his first taste of the famous HRC, and when he left the place after the gig was over, he was – to put it bluntly – far from satisfied. The gig was dubbed “a tribute to Pink Floyd”, and there was nothing, absolutely nothing wrong with the band’s performance, or their execution of the songs. They had the energy, the talent and the required eye candy to keep every classic rock lover hooked till the end – but the main reason we remained till the end, as I realised later was that – everyone was waiting to hear and sing along to – some songs that actually come to your mind when you hear the name Pink Floyd. Thus, what was missing was a proper setlist. I can only wonder how insane the evening would have been, had the band put their talent to cover songs like “Wish you were here”, “Coming back to life”, “High Hopes”, “Time”, “Money”, “A Great Gig in the Sky”, “Brain Damage”, “Shine on you Crazy Diamond” and an infinite other songs which actually made Pink Floyd the milestone in rock music that they were. Instead, what we were treated to, was Pink Floyd’s most exhausting and … must I say… dull double album in their entire discography – the Wall. They started out the evening with their cover of the opening track from The Wall (Disc 1) – In the Flesh – and what struck me at first, was their style of play. It was brilliant: the guitars, the vocals, the drums – oozing with technical proficiency. I’ve heard Dream Theater cover In the Flesh in one of their albums. so my expectations were set high. But AlterEgoz reached that bar, and maybe even bettered it. After all, DT’s Pink Floyd covers lack the inherent “soul” – mostly because they really cannot do justice to the vocals. This was, however, spot on. To be honest, it was a good gig. If you are one of those, who worship Pink Floyd and bow down in front of an effigy of Roger Waters before going to bed, you’d have loved it. They even had an old guy who played the harmonica, and a young girl who played the oboe to get as close to Floyd as possible. But then, when I hear “Pink Floyd”, I’m looking for certain songs. Unfortunately enough, none of those were heard that evening. Subhayan is the quintessential Bengali who likes maach-bhaat and porashona. He has a big thing for cars, and an acquired and somewhat esoteric taste in many things – including, but not limited to music.